Dallas' premier resource for creating beautiful and functional interior designs for busy professionals. Smart. Stylish. Fun. Pulp Design Studios is recognized for their modern approach to design with a flair for the unexpected. Each space that Pulp Design Studios designs is dynamic, balanced, and infused with the personality of the individual client. Creating beautiful spaces that reflect individual style, is the easy part! The true value lies in utilizing the creative and thoughtful design, to enhance your home’s value, increase your workplace productivity, and even help to increase sales for your business. Pulp Design Studios leverages more than 20 years of combined residential, commercial and hospitality interior design experience. Through the education and hands-on knowledge of your design team, Pulp designers guide and manage your design project, providing clear communication on budgets, timelines, aesthetic, and quality to meet and exceed client expectations. The Pulp Design Studios team works with a love of beauty, design, furniture, textiles, and the desire to create a space that tells each clients’ story. The team stays up to date on the latest trends, styles, and design strategies through continuing education, hands on experience, market travels, and by authoring the popular design and lifestyle blog, Hello, Splendor. Unique design creation for each client is a critical requirement in every aspect of each project. Pulp Design Studios’ background in custom furniture design & product development will help to create one of a kind pieces to enhance your home. The founders and senior team at Pulp Design Studios, Registered Interior Designers Beth Dotolo & Carolina V Gentry, have a goal to create a stunning space that is functional, livable, and adaptable to each client’s lifestyle. It’s not just about a beautiful space, it’s how you live in it. Also, shop our original designs and curated goods at PulpHome.com. But before you start sending out dozens of emails and making phone calls, sit down and think about your project. What's your budget? What is the scope of your project? 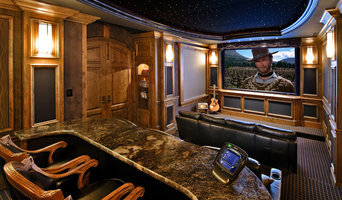 Will you need more than one type of professional to complete your home improvement project in Addison, TX? Can you afford to complete the full project now, or should you tackle it bit by bit? 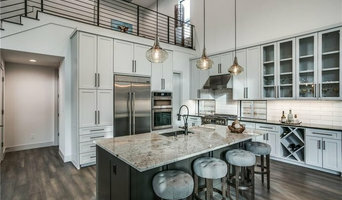 Once you've settled on your project’s priorities, budget and scope, it's time to start researching Addison, TX home design professionals. Don't sell yourself short and settle on the first professional you set your sights on. Make sure that you're working with someone local, who can get to the jobsite easily and efficiently. Look into the person’s reviews, ask to speak with former clients and to see previous jobs in person. Take a good look at their portfolio photos: How similar are these projects to your own? Be honest — that mansion might look beautiful, but it might not have a lot in common with your little bungalow. Reach out to multiple professionals — especially for larger projects — and don't settle for the first bid you hear. Comparing multiple Addison, TX professionals' bids and experiences can help you find the one that’s best for you. Ask a lot of questions now, so you won't have unexpected answers later. Find a home design professional on Houzz. Narrow down your search by type of professional and location. 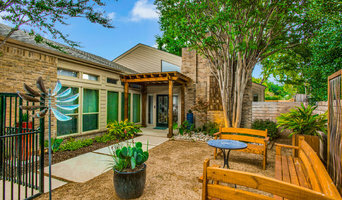 Browse Addison, TX portfolio photos, read client reviews and contact each Addison, TX professional for more information. Check out the information in the specialized professional sections too for tips on how to hire the right professional for your project.